FREE EVENT: Artist Stephen Felmingham is giving an open invitation to the community of Ashburton to join him on Saturday the 19th May 2018 6-30pm to 9pm in Ashburton Arts Centre. Food is a universal need and key pathway to connectedness. Consider the phrases “a seat at the table,” “let us break bread,” or “the way to any person’s heart is through their stomach.” These are among the most tangible metaphors for community, belonging, and acceptance. And when people share a meal, it can be the opportunity to develop and launch inclusive initiatives. 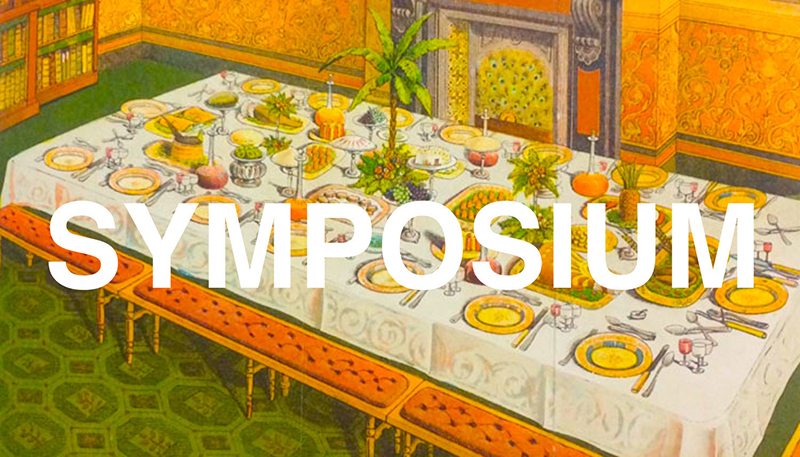 Symposium is a communal potluck meal, staged in the main space of the Chapel. It is also an art work in its own right. The process of listening to the community will be the art here: ideas, words and phrases will emerge from the conversations that are held while sharing the meal and be notated to form a poetic ‘score’ or constellation of ideas. Please bring a vegetarian dish to add to the table, vegetable curry will be supplied to start the event.